Myanmar BIBLES is a mobile app containing BIBLES of languages in Myanmar for the purpose meeting the need of today, making the Word of GOD accessible at devices exclusive to Android OS. 20+ BIBLES in Myanmar are available to download. No need to install any FONTS. Other languages will be added in the future whenever the text is ready. 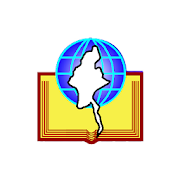 The app and its content are copyrighted by The Bible Society of Myanmar.